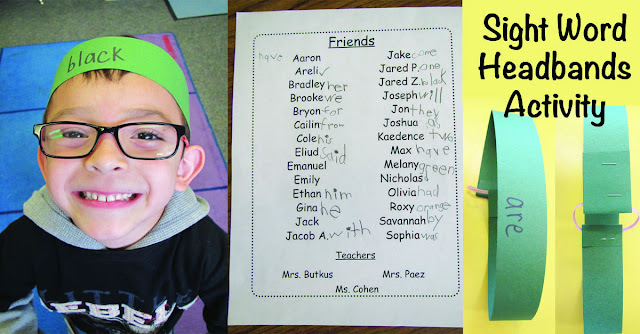 300 sight words is a LOT to learn- but that is what most schools seem to require in first grade these days. And my second graders have to master 600! But if a child is already struggling, what can you do to help? 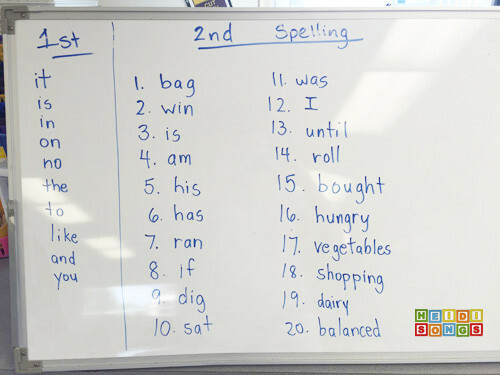 Here is a list of my best strategies, tips, and tricks that I am using with my first and second graders to help them master these words so that they can say them immediately on sight. I am including a free download of the list of words that we are working on as well, just in case you find it helpful! Read on for the downloads! Three hundred new words is an overwhelming amount to give any child to learn, whether they are in first grade, second grade, or beyond. The most important thing you can do to help a struggling learner is to avoid giving them too many words to learn all at the same time. Even if a child is fortunate enough to have a parent that is willing to help, I firmly believe that sending home a list of 300 words for the child to learn is a big mistake! A busy parent will be just as overwhelmed with this as a child. So break it down into smaller, easier to handle chunks! The list that my district gives us is broken down into three lists of one hundred words each, but in my opinion, this is still too much for a six year old to handle! I took each list of one hundred words and split them into four lists of 25 words each. The only exception is the first list of one hundred words, which I only split into three chunks, because most of the children learned the first 50 words in Kindergarten, so those 50 words made up list 1-A. 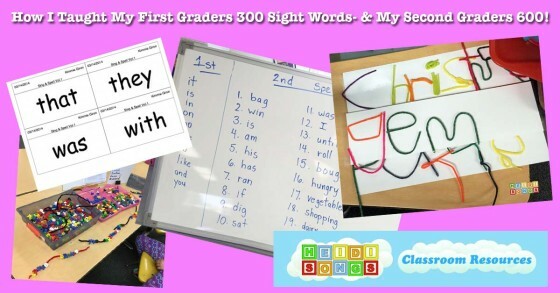 After that, words 51-75 formed list 1-B, and words 76-100 formed list 1-C. You can download the list of 300 first grade sight words here. You can also download the list of 300 additional words that my second graders had to learn here. 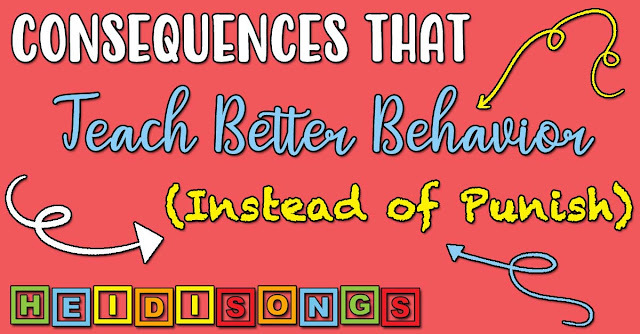 Although many children enjoy learning "just because," (and that's certainly ideal!) other children may need some other incentives to help light that fire. One thing that our school did was have a Hundred Sight Word Party on the hundredth day of school just for the first graders that had learned one hundred sight words. For some, this was an easy goal to reach... but others really needed that incentive to reach for to help them try a little bit harder! And I really don't see anything wrong with that! Another thing the first graders did at my school was a Karate Belt Sight Word Program! When the children learned fifty words, they were considered a yellow belt. After that, they were an orange belt, then a green belt, and so on! 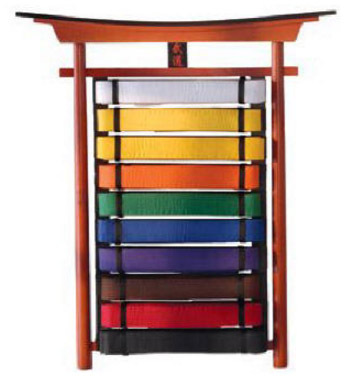 One of my colleagues got a really cool Karate belt rack like this and put it up in her room. Another one hung up the belts and taped the children's names on them as they learned the words. Sing the Sight Word Spelling Songs! All of the first grade teachers at my school (and Kindergarten!) 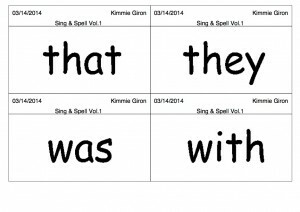 are using my HeidiSongs Sing and Spell the Sight Words DVDs to help teach kids to recognize and spell the sight words. Although I do have a lot of word songs recorded, we are now at the point in the first grade year that we have run out of sight word songs! We simply don't have enough recorded, so the children have to learn the rest the old fashioned way. And for the struggling learners, this can be REALLY hard! I actually sent home sight word DVD's with my first graders this year, and I know that this helped the ones that enjoy it tremendously. Usually, once they have learned to read the word, they can also spell it as well! I only wish I had the rest of the sight words also recorded in song. It SURE would make everything SO much easier! I'll bet you are thinking, "Um... okay... HOW would I EVER get that done?" Well, here is a tip: all you need to do is sign up for a sixty day free trial of ESGI software. 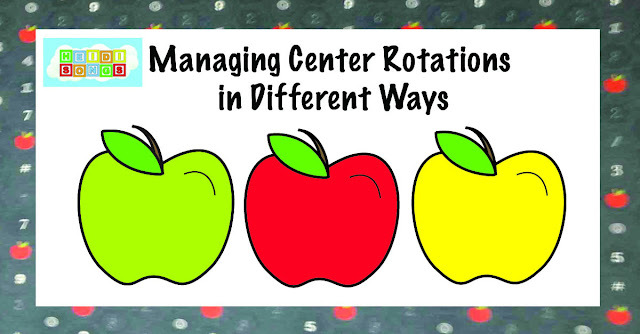 This will probably work out well for you if you are nearing the end of the school year anyway! Once you get your kids' names into the system, then you can easily add the tests that I already created and use my list of sight words and my tests (they are free!) or you can make your own tests with your own words. Then just call your kids back to your desktop computer one at a time (or test them off of an iPad or laptop computer anywhere in your room) and ask them their sight words. As soon as you are done testing a list that they do not have mastered, click the button that says, "Print Flashcards." 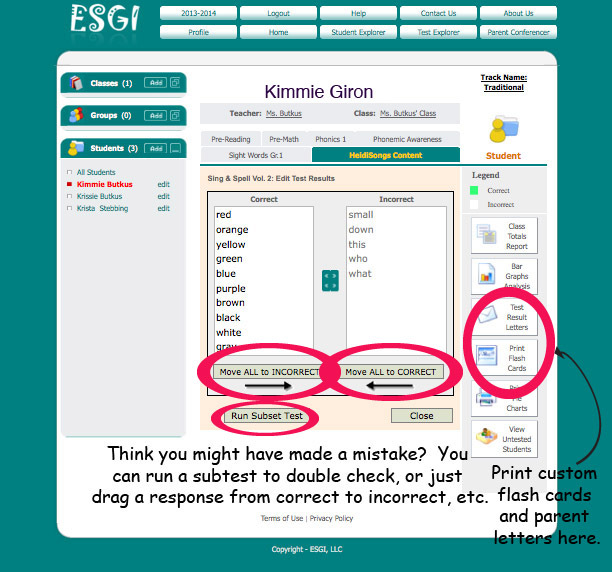 ESGI will automatically print out only the flashcards for the words that the child has missed! That way, you can easily send home just a few at a time. HOW COOL IS THAT? 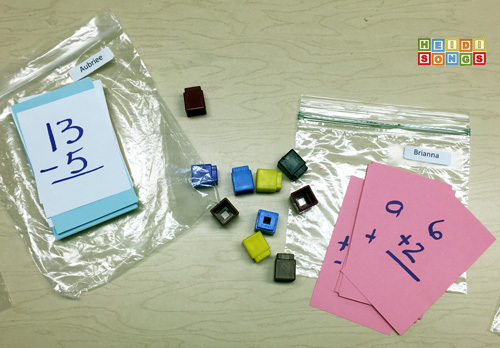 This is an example of a set of ESGI flash cards for a child that missed only four sight words in a set. Therefore, she only got four words to take home. This is much less overwhelming than taking home all 25 cards- or even 100! 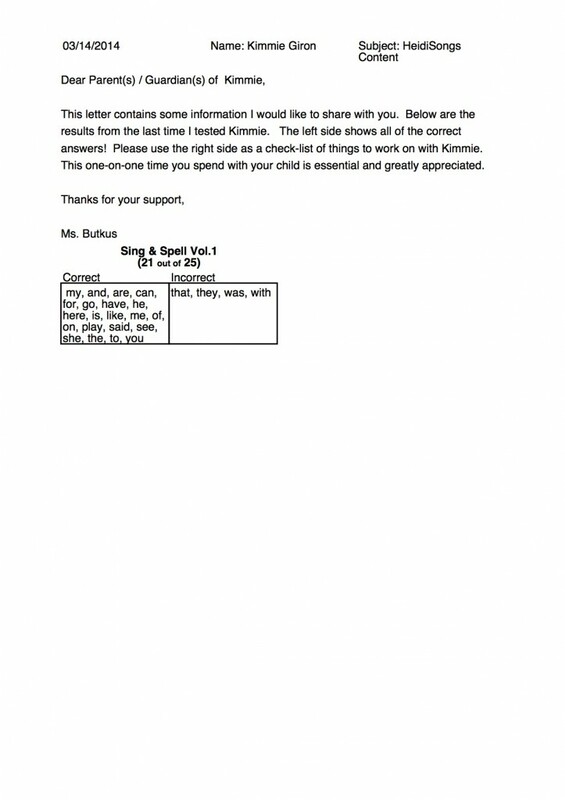 ESGI will also print out a parent letter in English (and Spanish, if you like!) 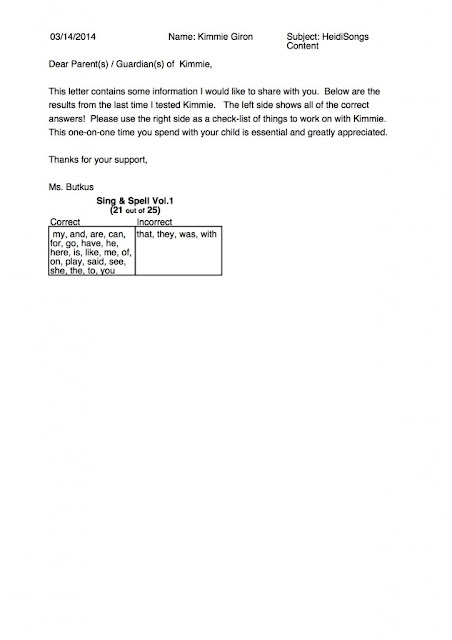 that will explain to parents exactly what their child missed and what he or she knows! This is wonderful information for parents that really want to know exactly what their child knows and are willing to help. For that kind of parent, your job might just be DONE, as far as sight word are concerned! Another way that I use ESGI flashcards is for playing games in the classroom. 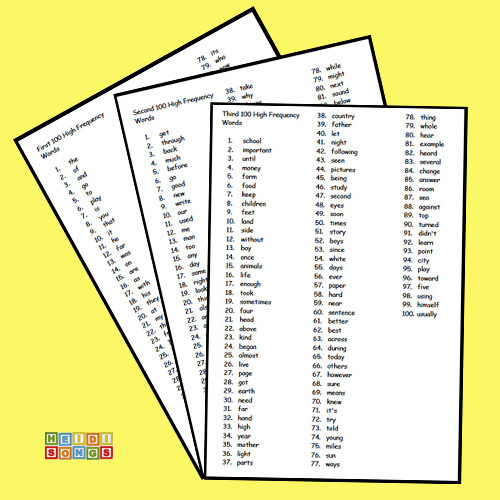 I just print out a set of the flashcards with the words each child needs to work on and put them in baggies with the kids' names on each one. 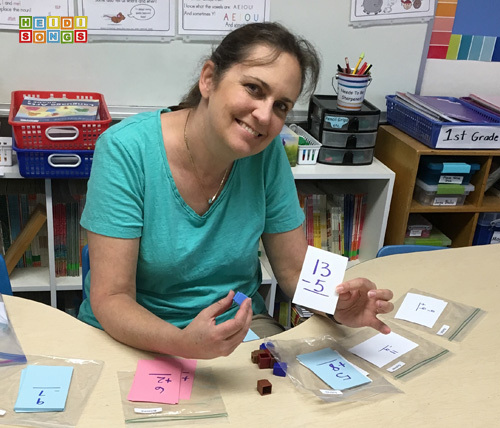 Then when I need to work on sight words in a small group, I just put the cards on top of each child's baggy and pull a card right off the top of the stack! If the child doesn't know the word, I put it back on top of the stack so that when I get back to that child, I ask him or her the very same question. However, if he or she knows the word, I can put the card on the bottom of the stack. The game itself is very simple! If the child knows the word, I roll him a unifix cube. If he does not, he does not get a cube. The kids snap the cubes together to make a train and start comparing the length of their trains for fun. I have no idea why this (silly) game is so much fun, except that it just moves along very quickly. Even my SECOND graders love this silly game! 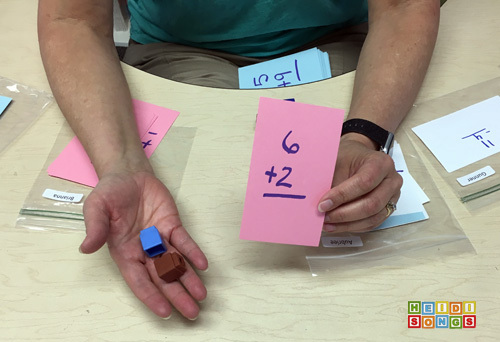 We have been playing it with math fact flashcards, but with one twist: if the child knows the math fact instantly without counting on fingers, they get TWO cubes! (They each have their own baggie of facts to work on.) If they have to count on their fingers or sit and think about it for a while, they only get one. If they answer incorrectly, they don't get a cube. They are all great sports about it and really love it when they get TWO CUBES! LOL! When one of my sweethearts wound up with the longest train of cubes at the end of the game, she said, "Oh, my GOSH! I've never been the best in math at ANYTHING- EVER!!!!" It was soooo sweet! 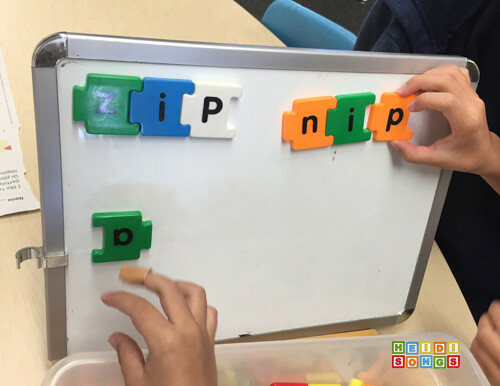 I believe that it's important that the children learn to spell the sight words in order to really remember them. 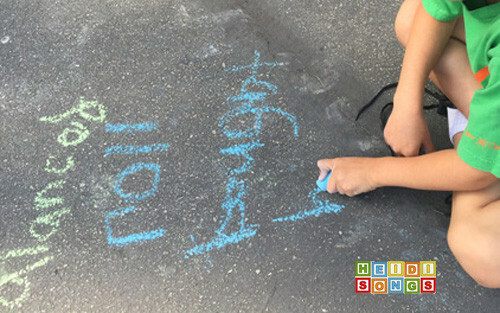 Therefore, be sure to include a few of your sight words on your spelling list each week. When I taught Kindergarten, I also made sure that they had to use their new words in their writing each week and I believe that this really helped as well. I really recommend that you find a way to get the sight words into their writing, even if it is just asking the children to write a sentence with the words in them each week. This is an example of the spelling lists I send home for homework each week for my first and second grade combo class. 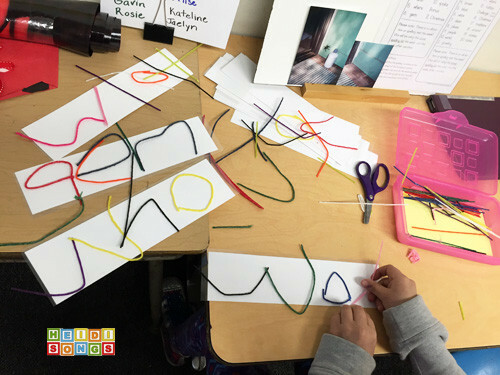 It's a great idea to have children build the sight words in centers for extra reinforcement. 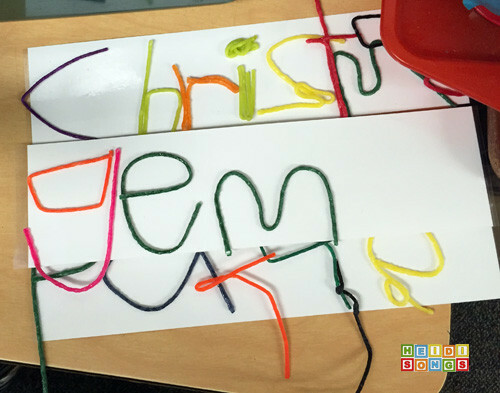 My class has done this many different ways, such as with Wikki Stix, magnetic letters, letter beads, sidewalk chalk, etc. 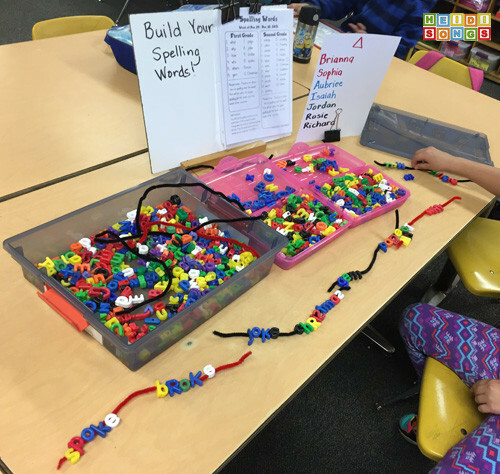 Sorting the words is also a wonderful idea, especially if they happen to follow a certain spelling pattern, although sight words generally do not, of course! Here are some more videos from the Sight Word DVDs!